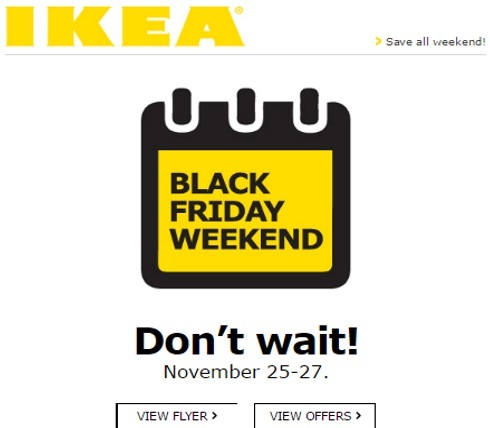 Save all weekend at IKEA's Black Friday Weekend Sale! Offers are valid November 25-27. Browse the flyer and offers at the link below!